Firefighters extinguished a boat fire Sunday morning in Fort Pierce. 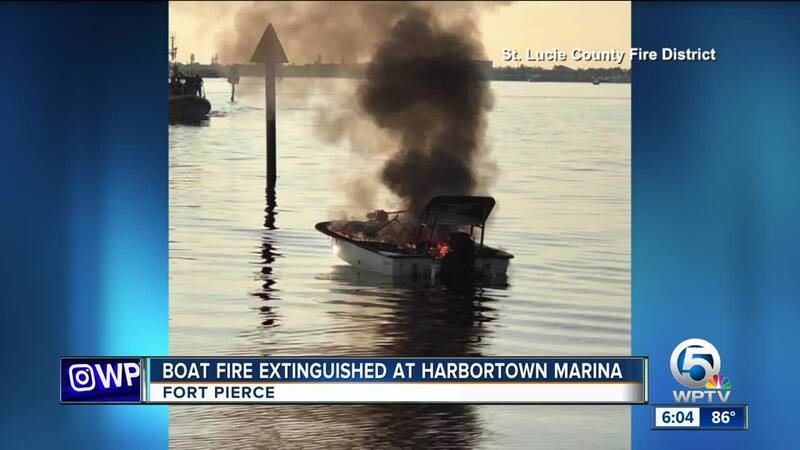 St. Lucie Fire District received a report at 7:12 a.m. about a small fishing boat being on fire at Harbortown Marina in Fort Pierce. Crews arrived to find the boat engulfed in flames.